Blueschool Arts Solstice Soiree - December 21, 2018, from 5-8:30 pm at Blueschool Arts, 6451 Harding Ave, Clinton, WA. It’s a party! It’s a last minute shopping venue. Celebrate the Solstice with us. We’ll have tasty nibbles and other goodies, as well as some sweet gifts if you’re a last minute Annie or Andy! 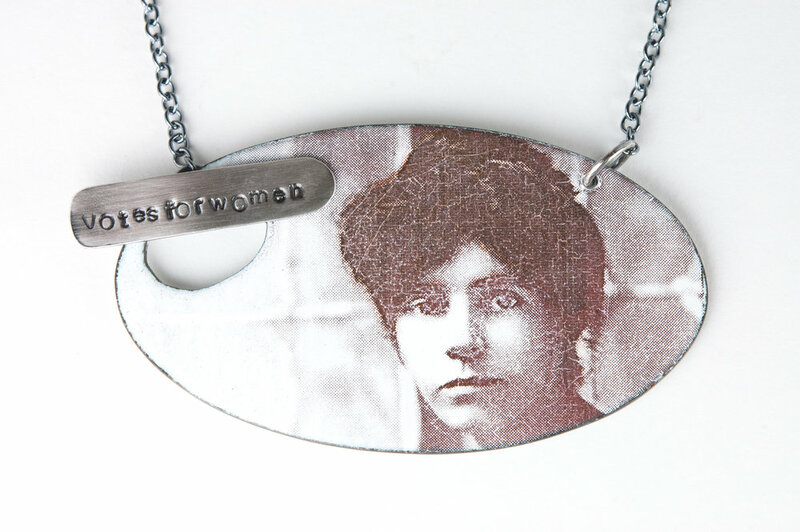 Alice Paul - enameled copper pendant with photographic image decal (courtesy of The Library of Congress) and sterling silver findings. Celebrating Women’s Suffrage - Vintage washboard with enameled panel and enameled pendant of Alice Paul (photographic images courtesy of The Library of Congress). 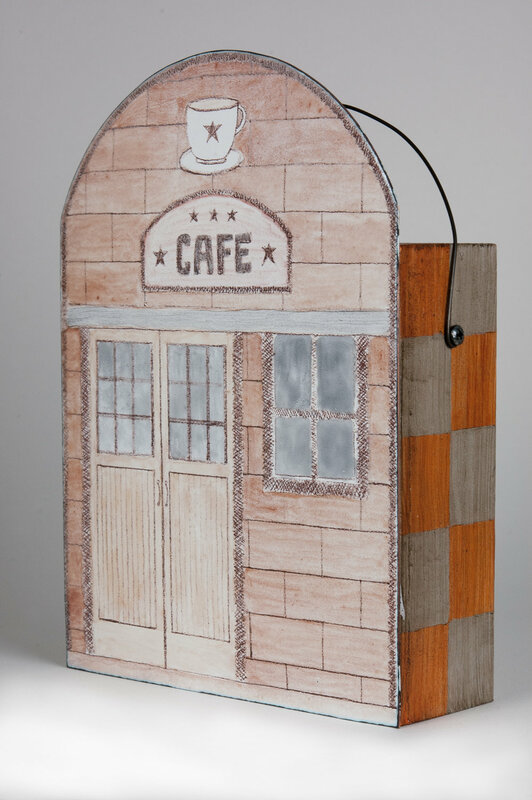 This piece is one of 118 enameled pieces at the Under Fire 2 Exhibition. This is my first time being part of a juried exhibition. I’m very honored to be invited and excited to participate. Celebrating Women’s Suffrage represents a small portion of a larger body of work that I created honoring the many women who risked all odds for the right to vote. I truly respect their sacrifice and persistence in obtaining our right to vote! When you sign up for The My Brown Wren Newsletter you'll be part of an exclusive group of my fans and collectors. You'll be the first to hear about exclusive promotions, art openings and other special events, how-to's and other arty tid-bits! You'll get first crack at my new work, and I'll even share some secrets of how things are made. On top of all these delightful things, you'll get a FREE DOWNLOADABLE PRINT of one of my paintings! Here's a sneak peak at your free print. All you have to do is sign up to get it! Oh, and I promise not to get all spammie on you! It's A Jungle Out There - Yup! It truly is!! !